Trump’s new pick for Treasury Secretary, Steve Mnuchin, his top campaign fundraiser, was a Goldman Sachs executive. Mnuchin spent 17 years working at Goldman Sachs where he became a partner. He also worked for hedge fund manager George Soros, founded a hedge fund of his own and was the lead investor in IndyMac, a failed subprime lender that turned into a “foreclosure machine” during the housing crisis. As the financial crisis worsened, Mnuchin was looking to make a profit off of homeowners who couldn’t pay their mortgages. In 2009, he got together with a group of billionaire investors and bought a failed California-based bank, IndyMac, which had been taken over by the FDIC after its portfolio went bust. Mnuchin and his partners bought IndyMac on the condition that the FDIC agree to pay future losses above a certain threshold. They renamed the bank OneWest Bank and, after running it for six years, they sold it last year for a profit, estimated at close to $1.5 billion. 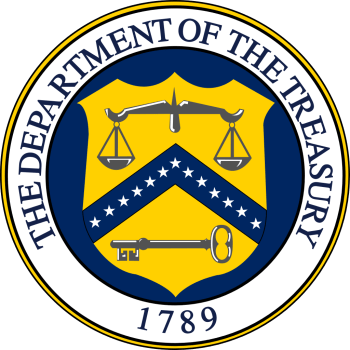 According to the coalition, OneWest foreclosed on more than 36,000 homeowners under Mnuchin. During that time, the FDIC made payments to OneWest totaling more $1 billion. Those payments went to the “billionaire investors of OneWest Bank,” says Stein, “to cover the cost of foreclosing on working-class, everyday, American folks,” many of whom lived in California. Rex Schaffer, 86, and his wife Rose were among those who lost their homes, in a OneWest foreclosure. After living nearly 50 years in their home in La Puente, Calif., the Schaffers took a home equity loan but struggled to make the payments. They say they qualified three times for a government assisted modification, but OneWest failed to modify the loan. Facing threats that their home would be auctioned off, the Schaffers finally got through to a OneWest vice president. According to Rex Shaffer, the VP said, “I’m going to get you a 60-day extension on the sale date, so we can work this thing out.” That was on Feb. 17, 2011. But the next day, the Schaffers’ house was sold without their knowledge. “We didn’t even know it — didn’t have the faintest idea,” Rex Shaffer says. Despite their hardships at the hands of Mnuchin, the Shaffers voted for Trump. I guess victims really are attracted to those who abuse them. Then there is Trump’s pick for Director of the National Economic Council, Gary Cohn, who was second in command at Goldman in his prior life. Cohn was President of Goldman and also Chief Operating Officer. Cohn joined Goldman in 1990 and rose through the ranks to become Lloyd Blankfein’s deputy. Blankfein is CEO and Chairman of Goldman. Cohn will help Trump set economic policy. Jared Kushner, Trump’s son-in-law, is good friends with Cohn. Kushner can’t take a West Wing post for legal reasons, so Cohn will be his proxy inside the administration. Conservatives are upset by the appointment of Cohn who they don’t feel is conservative enough. Cohn is a member of the clique of global superrich and superelite in contrast to the populist and nationalist values that Trump preached on the campaign trail. Trump’s designated Chief Strategist, Steve Bannon, is also a Goldman Sachs veteran. Preventing Cohn from exerting too much influence on Trump seems to have become a goal for Bannon. “He’s a huge Democrat and knows zero about politics,” Bannon supposedly said. According to public records, Clinton gave 92 speeches between 2013 and 2015. Her standard fee was $225,000, and she collected $21.6 million dollars in just under two years including the $675,000 from Goldman for 3 speeches. Hillary would not release the transcripts of those speeches. During one she cozied up to Lloyd Blankfein in a two way conversation. Blankfein was a Clinton supporter. On the campaign trail, Trump also attacked Republican rival Ted Cruz for his ties to Goldman Sachs. Cruz’s wife worked at Goldman, and he’d taken a loan from the bank to help fund his campaign. 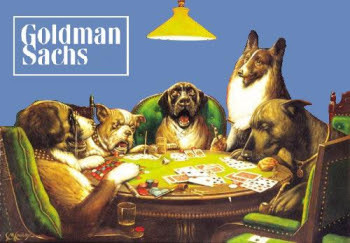 So now that he has won the Presidency, Trump follows preceding Presidents by filling up his administration with Goldman Sachs former employees. This is draining the swamp?! Goldman has been in the swamp through numerous other administrations and has never had to leave. They are permanent residents of the swamp. Like Trump, Obama ran as an outsider. He attacked NAFTA and wanted to soak the rich. Then he appointed Tim Geithner his Treasury Secretary. Supposedly only a Goldman former managing director and President of the New York Fed could get the country out of the economic crisis. Geithner’s solution was to pay investors back 100 cents on the dollar while giving little if any relief to homeowners who had been foreclosed on. 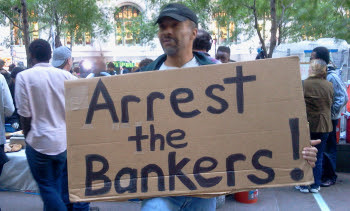 Geithner was totally on the side of the banks, not the average American. The banks were seen as crucial to the economic system; the average homeowner was just collateral damage. In all there were 34, count ’em, people in the Obama administration with Goldman connections including Larry Summers, Obama’s chief economic adviser and head of the National Economic Council; Neel Kashkari, former VP at Goldman; Gary Gensler, an Obama appointee to the Commodity Futures Trading Commission, which is supposed to regulate derivatives trading. Gensler, a former Goldman banker had been instrumental in helping to pass the infamous Commodity Futures Modernization Act of 2000, which prevented regulation of derivative instruments like collateralized debt obligations and credit default swaps that played such a big role in cratering the economy last year. Then there was Peter Orszag, Obama’s Budget Director. Orszag was founding director of the Hamilton Project, funded by Goldman Sachs and Robert Rubin. I could go on but I refer you, dear reader, to the link. As Geithner’s replacement Obama appointed Jack Lew, Treasury Secretary. Lew sits on the Brookings-Rubin funded Hamilton Project Advisory Board. Lew has been called an acolyte of Bill Clinton’s Treasury Secretary and Goldman alum, Robert Rubin. Before his government service, Rubin spent 26 years at Goldman Sachs. Rubin oversaw the loosening of financial industry underwriting guidelines which had been intact since the 1930s leading to the 2008 financial crisis. Rubin was later at Citigroup where he went to claim his reward for his government service. Rubin was Bill Clinton’s Treasury Secretary from January 1995 until July 1999 and was an architect of the financial deregulation that left financial derivatives largely free of controls. This paved the way for the large-scale, unregulated speculation in financial derivatives by Wall Street banks beginning in the early 2000s. Taken together, the rash of appointments with ties to Bob Rubin may well represent the most sweeping influence by a single Wall Street insider in the history of government. “Rather than having a team of rivals, they’ve got a team of Rubins,” says Steven Clemons, director of the American Strategy Program at the New America Foundation. “You see that in policy choices that have resuscitated – but not reformed – Wall Street.” While Rubin’s allies and acolytes got all the important jobs in the Obama administration, the academics and progressives got banished to semi-meaningless, even comical roles. The Financial Crisis Inquiry Commission, the panel responsible for determining who and what caused the financial meltdown that lead to the worst recession in decades voted to refer Robert Rubin to the Department of Justice for investigation. The panel stated it believed Rubin “may have violated the laws of the United States in relation to the financial crisis.” Rubin, the commission alleged, along with some other members of Citi’s top management, may have been “culpable” for misleading Citi’s investors and the market by hiding the extent of the bank’s subprime exposure, stating at one point that it was 76% lower than what it actually was. The George W Bush administration had a similar cast of Goldman characters including Bush’s Treasury Secretary, Hank Paulson, who was at Treasury from 2006 to 2009. His former Goldman Sachs Title: Chairman and CEO (1998-2006). If anyone doesn’t believe that Wall Street bankers formulate the economic policy of US Presidential administrations, they have another thing coming. This has been true throughout American history. Trump is no different. Both he and Obama campaigned against Wall Street and then, as soon as they were elected, they got in bed with them. Hillary’s mistake was to get in bed with them before she was elected.